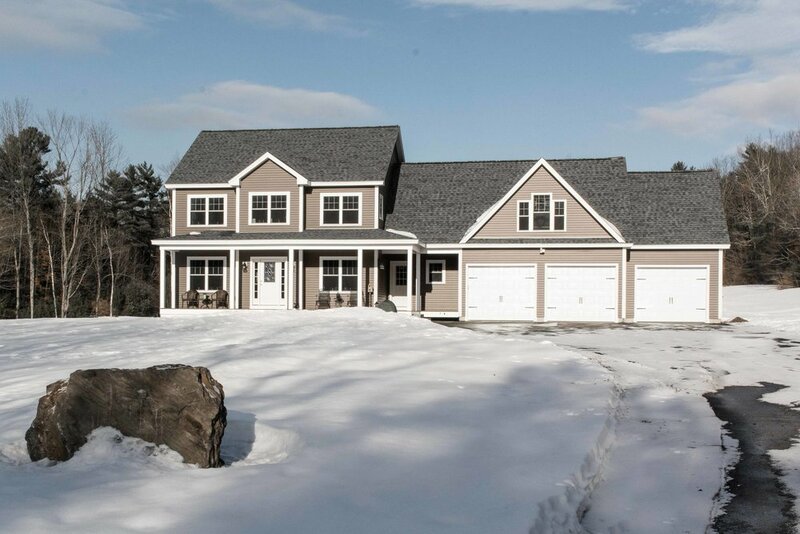 This 2,640 sq.ft colonial home is set back into a spanning open field in Windham, Maine. 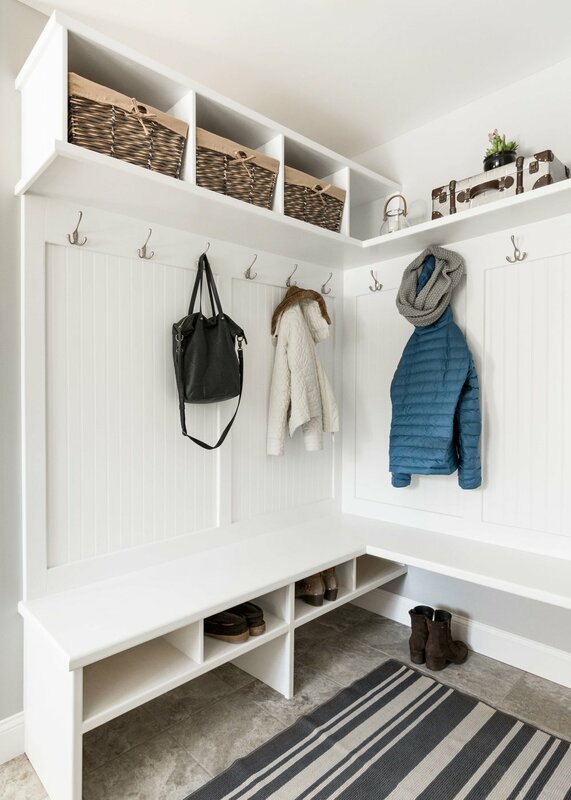 Coming into the home through the side entrance brings you to a large mudroom with custom built-in cubbies and a corner bench. 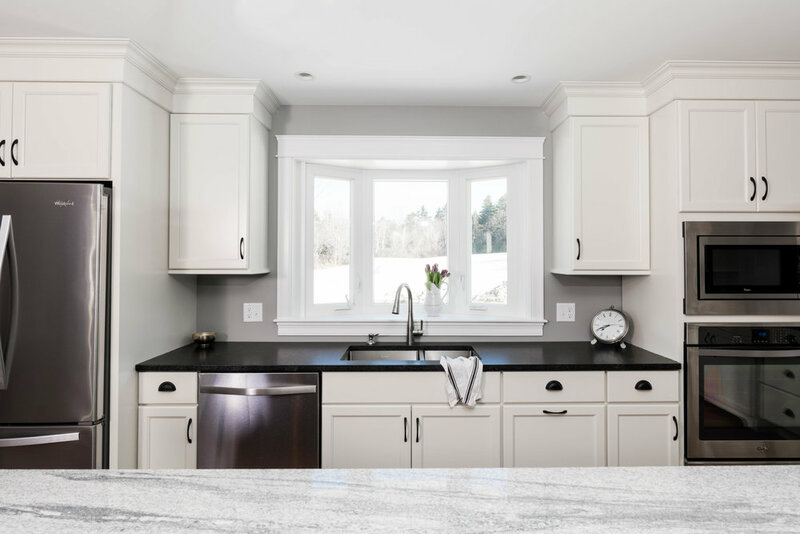 The kitchen has a dry bar with warm brown cabinets to contrast against the rest of the bisque colored cabinetry in the room. French doors open into a first floor office located off of the kitchen area. Over the garage is a large family room with tongue and groove pine boards on the ceiling and a rich rust color on the walls. An overall warm home with lots of space and storage for the whole family.